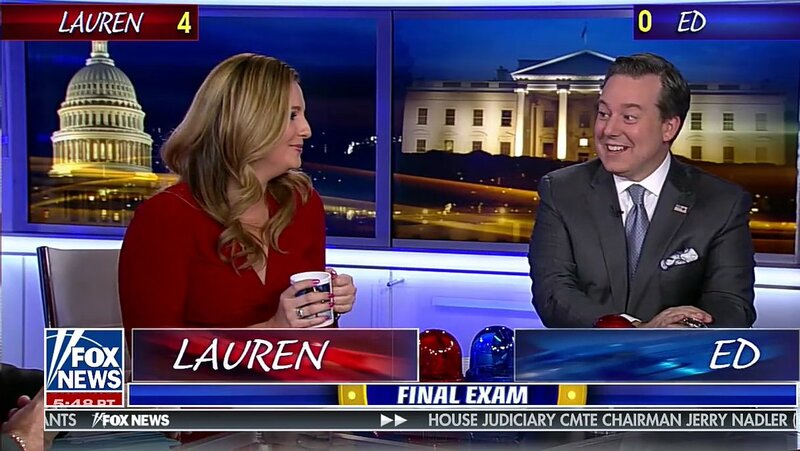 Fox News correspondent Lauren Blanchard is on a roll lately after appearing on the "Tucker Carlson Tonight" quiz segment. American journalist Lauren Blanchard who works for Fox News is achieving even more success after appearing on the "Tucker Carlson Tonight" events quiz on February 8. Thursday. 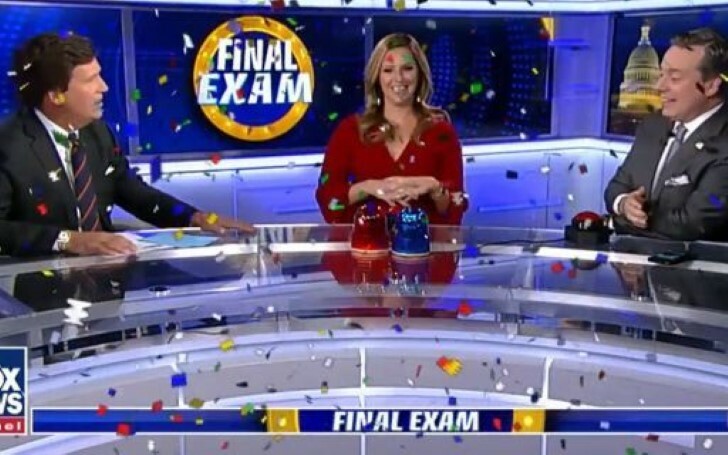 The Fox News national journalist defeated Fox News fellow anchor and her colleague Ed Henry on the 'Final Exam' quiz segment by defeating Henry with an impressive grand score of 3-0. "Oh, we're breaking the clouds. It's time for final exam where news perfectionals compete against one another to determine who paid the most attention what happened this week"
"(Blanchard) well on her way to becoming our all-time champion,"
A little envious Henry can be heard booing his opponent upon the hearing from the host. The screen starts displaying a graphic of tombstones of all the previous competitors Blanchard beat in the previous questionings. Lauren beat other Fox News reporters including Peter Doocy, Lawrence Jones, Sean Spicer, Sean Duffy, Jason Chaffetz, and Griff Jenkins to win her way to the final segment of the quiz. Moreover, Henry doesn't stop there. Besides booing Lauren, the Fox News Chief National Correspondent stretches his hands for a welcoming handshake to wish his rival "Good Luck". And before Lauren extends her hands to shake, Ed pulls back his hands. Shocked from the action Blanchard then clearly displays the offense on her face. "Okay, now I'm coming. Now I am mad." The competition between the two finalists surely looked competing and tough from the beginning. But, true to host Carlson words, Mr. Henry just became another of Lauren's victim, making Blanchard to eventually becoming 'the all-time champion'. The quick-witted winner knew most of the answers on the counter, asked from former Governor, John Kasich's air travel to former Starbucks CEO Howard Schultz's beliefs on billionaires. "What animal represent the Chinese New Year?" "It is the year of the pig!" "Is there anything you don't know?" However, on the Tucker Carlson Tonight's "Final Exam" quiz, it is obviously certain that this is actually, in fact, the year of Lauren Blanchard. Lauren wins a mug for her victory and the competition ends with fake confetti effect showering over the three.